In an average week in the U.S., 10,056 babies are born preterm. 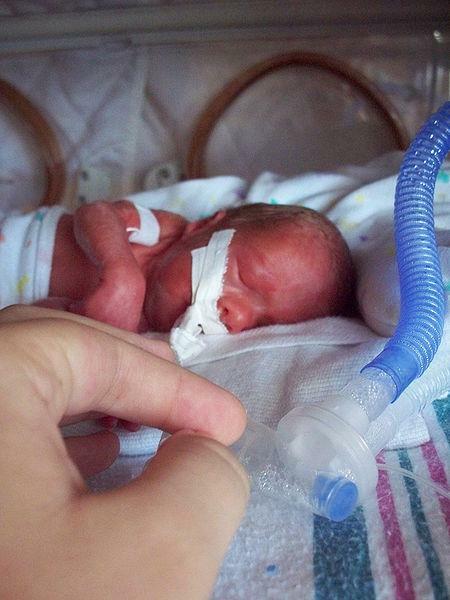 Public Citizen, in a letter to Health and Human Services (HHS), states that a federally funded clinical trial currently underway poses known risks to premature babies without fully informing the parents of potential dangers. A non-profit organization that champions citizens’ interests, Public Citizen has requested that HHS halt the trial and notify parents of babies already enrolled about the risks to their children. The clinical study in question is called the Transfusion of Prematures (TOP) Trial. The study is being conducted by the federally funded Neonatal Research Network, which is an extensive and national system of academic institutions with experience in multi-center clinical research. According to a National Institutes of Health (NIH) website, TOP will include 1,824 babies born prematurely and admitted to a neonatal intensive care unit (NICU) within 48 hours of life. Specifically, the gestational age of these babies must be at least 22 weeks but less than 29 completed weeks; each infant must weigh less than 2.2 lbs. The intention of the study is to explore the effects of transfusions with different thresholds or levels of hemoglobin on extremely low-birth weight (ELBW) preterm infants. Currently, it is standard practice for ELBW infants to be given hemoglobin transfusions. The threshold of hemoglobin within the transfusion, though, is not standard. Previous studies have come up with contradictory evidence. Some results from experimental trials suggest higher thresholds of hemoglobin may provide more neurological benefits to infants, other trials suggest that premature infants given higher threshold transfusions showed poorer outcomes in brain structure and function in the long term. The point of this NIH study, then, is to determine an optimal transfusion level. For the study, half of the infants will be randomly assigned to receive transfusions at a high hemoglobin level (liberal transfusion group) while the other half will receive transfusions at a low hemoglobin level (restrictive transfusion group). “The best available evidence, previously published by some of the TOP trial investigators themselves and extensively cited in the TOP protocol, suggests, overall — as does the study’s subtitle — that the restrictive transfusion strategy is more likely to result in neurologic injury and other harms in extremely premature infants,” Public Citizen states in its letter and press release. According to Public Citizen, which obtained the full array of consent forms in use via the Freedom of Information Act (FOIA), the forms do not fully explain to parents that prior research suggests a liberal transfusion approach may have more favorable outcomes. In a synopsis within the TOP protocol document (found here), the previous studies and their contradictory evidence is alluded to, if not fully explained. It is unclear whether or not this document is provided along with the consent forms. In addition to requesting the clinical trial cease, Public Citizen’s letter to HHS also calls for an independent investigation of the HHS system for review and oversight of federally funded human subject research. The group also asks that similar studies currently being funded by NIH or any other HHS agency be suspended. In a previous federally funded study (the SUPPORT study) protested by Public Citizen, 1,316 premature infants were exposed to an increased risk of blindness, brain injury, and death as researchers tested experimental approaches for managing oxygen therapy.